Summers in Texas can be brutal. I don’t like to go anywhere unless it is well air-conditioned (and sometimes even then, the idea of just walking to the car is too much to fathom). One of my favorite ways to pass the time in this heat is at a movie theater. Unfortunately, ticket costs can add up quickly. 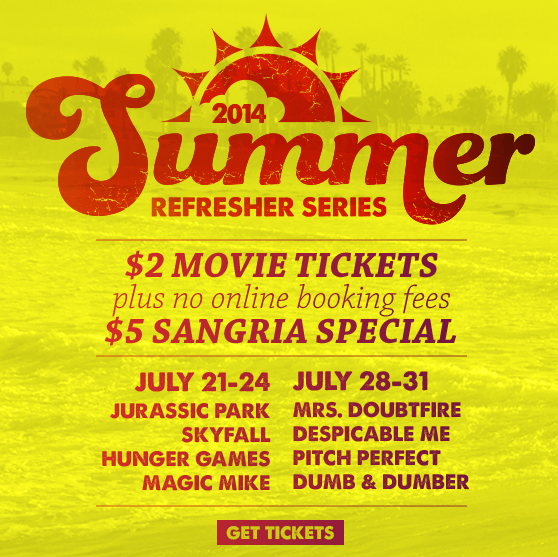 Studio Movie Grill has solved that problem for us frugal filmgoers with their Summer Series specials! Read below for their awesome and affordable lineup. With so many sequels on the movie horizon, Studio Movie Grill is offering a refresher course to prepare us for the upcoming films. Titles include Skyfall, Jurassic Park, Hunger Games, Magic Mike, Despicable Me, Mrs. Doubtfire, Pitch Perfect, and Dumb & Dumber. All eight of these titles have a sequel on the way. So what better way to prime the pump than to bring back the originals for a limited time? Enjoy two straight weeks of original, big-time blockbusters plus a $5 drink special. Finish out the summer with a two-week-long series featuring six hand picked chick flicks by two of Studio Movie Grill’s Film and Marketing team members, Danielle and Lexie. The two of them have combed through hundreds of titles to pick their favorite summer flicks and added a drink special to the mix. 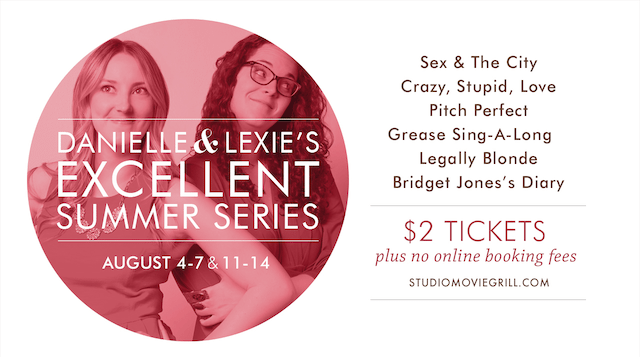 Tickets are just $2 for all Summer Series films. Book online with no additional fee! Jurassic Park and Pitch Perfect! GOODNESSSS!!!! I may need to cash in on both of these!